LEAP: Leveraging the lessons of the downturn to transform the way we find tomorrow’s talent. LEAP: Applying new approaches to developing the Oil & Gas leaders of tomorrow. LEAP: Building a bridge between technology and talent to thrive in an increasingly digital industry. 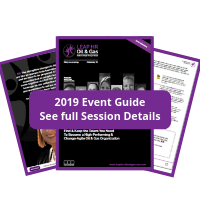 LEAP: Achieving leadership diversity and creating a truly inclusive Oil & Gas workforce. LEAP: Developing fluid and flexible people strategies to add maximum value and meet future needs. LEAP: Learning lessons from other industries to transform HR impact inside Oil & Gas. LEAP: Adopting fresh approaches to retaining our most vital talent in a changing industry. LEAP: Enhancing operational performance and transforming succession planning. LEAP: Reimagining workforce planning to maximise HR efficiency and boost business agility. LEAP: Leveraging innovative digital technology to accelerate capability development. LEAP: Using fresh approaches to talent acquisition to transform engagement and reduce turnover. LEAP: Taking a nextgeneration approach to increase the efficiency of your recruitment machine. LEAP: Scaling talent acquisition to find the critical talent we need in fast growing Oil & Gas firm. 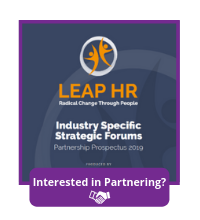 LEAP: Developing a new, flexible and sustainable HR delivery model for a changing industry. LEAP: Rethinking our approach to rewards in a rapidly growing Oil & Gas organization. LEAP: Rethinking rewards to attract and retain the vital talent necessary for growth. LEAP: Rethinking performance management in the Oil & Gas organization of the future. LEAP: Harnessing the power of purpose to inspire next-generation talent to join and want to stay. LEAP: Developing a dynamic culture engages top talent in an increasingly competitive labour market. LEAP: Improving change management execution to better support our people to deliver growth. LEAP: Accelerating the acquisition and development of a truly global workforce. LEAP: Applying new approaches to training a digital workforce to transform operational excellence. LEAP: Transforming functional culture to achieve sustainable profitability. LEAP: Identifying how Oil & Gas outliers are innovating to succeed in a new Oil & Gas industry. LEAP: Rethinking trust to build more lasting relationships with the talent you need. LEAP: Going beyond what you think you know to get inside the minds of a future Oil & Gas workforce. LEAP: Rethinking how to develop an agile, flexible and adaptable Oil & Gas workforce. LEAP: Providing a platform to drive radical change through people.